Even we were completely taken aback! The Android 4.3 update brought along a much awaited and requested novelty - needless to say the best feature of the entire OS update – and Google simply forgot to mention this fact? Did you already notice it or were you also left out of the loop? Sometimes the biggest discoveries happen by accident! This is how I felt when on Friday evening, I noticed that the both volume buttons, at least on the Galaxy Nexus and the Nexus 4, also work as a physical shutter for the camera. What!? My first thought was that I must have completely missed this in the beginning, but then even the tech Guru Nico from our AndroidPIT team didn't have a clue and was just as confused as me. 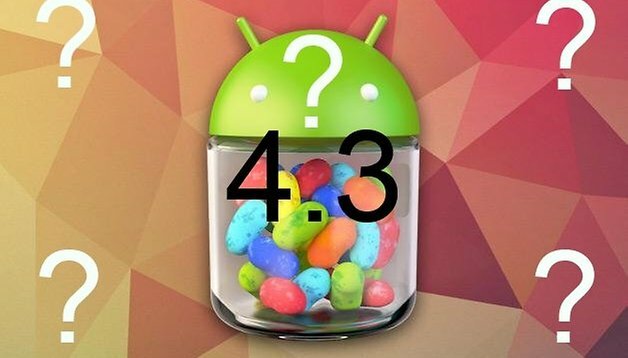 Back a few weeks ago, we wrote about the functions that Android 4.3 brought to the table. Even in many world-wide tech magazines, there was no mention of this new, yet elusive camera function. We were therefore not the only ones who missed the boat. Shattered by our own ignorance, we turned our attention to Android itself and lo and behold, there was absolutely no trace of this function on even the official 4.3 update website. We are perfectly dumbfounded and cannot fathom a worthy explanation. As a matter of fact, many Android users and myself had been waiting for a physical camera button and up until now this feature was only available through external software. Now it seems that it is an integral part of Android and this is good news. Let's just wait and see what will happen with the inquiry that we have just made with Google. Needless to say, we are slightly embarrassed that we noticed this so late in the game, seeing as we are supposed to be Android insiders. If we missed it, how many of you did too? We didn't want to lose out on the chance to share this piece of news with you, even if it is slightly stale. And now it seems that Android 4.3, which we had deemed as the most boring of all past updates, is actually not that dull at all. To all of you who already have Android 4.3: did you notice this new function or did it blow over your head too? can someone help me with the 4.3 to update my android 4.1 please!!! Forgot to mention that I didn't know that feature was brought with 4.3. Thanks for pointing it out. I knew that CameraFX had that but never really used it that often. I think I'm afraid that pressing the hard button may cause some movement that may blur the pictures. Good call Nelson! Thanks for pointing that out, it has been fixed. "Speaker buttons"? Had to read a few times to realize you were talking about "volume buttons". The reason why they didn't mention is because this feature is present in iOS since long time. I knew this, but I didn't care. I don't actually get what's the big deal with hardware shutter. I'm really shocked that I missed it too. I bet I would have spotted it on my S3 19300(international) if only I could be updated to 4.3 Shame on everyone and woe is me. Samsung are worse than VW for all the variants they release! I'm really shocked you had missed that. Actually it was made available with the new camera apk, released unofficialy a few weeks before 4.3. And that was the only reason why I installed it.